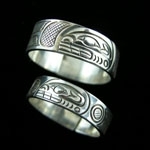 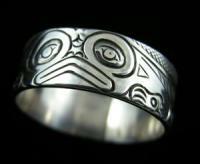 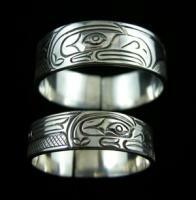 Rings are available in two sizes, and also in adjustable "wrap" sizes. 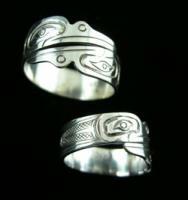 Small rings fit a regular lady's hand. 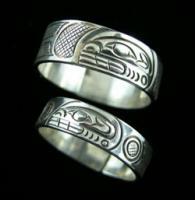 Large rings fit a regular man's hand.